Sarasota County Administrator Tom Harmer told the county commissioners this week he hopes to have a lease agreement ready for them to approve on March 8, so the county can proceed with opening a temporary library in the Hamilton Building in Venice. The Venice City Council voted unanimously on Feb. 9 to offer the Hamilton Building for county use while efforts get under way to plan and build a new Venice Public Library. Jan. 30 was the last day the island’s 51-year-old facility was open, with the County Commission having voted on Jan. 12 to close it because of concerns about mold affecting the health of staff and patrons. Harmer told the board during its regular meeting on Feb. 17 in Sarasota that he visited the Hamilton Building last week with members of the county’s Facilities Department staff, and then he conducted a follow-up discussion with Venice City Manager Edward F. Lavallee about the terms for a lease. Harmer added that he expected more details from Lavallee this week. Both the County Commission and the Venice City Council will hold regular sessions on March 8, Harmer pointed out, which would make that the ideal time to conclude the deal for the Hamilton Building. In the meantime, Harmer said, staff is evaluating how best to transform the Hamilton Building into space suitable for a public library. 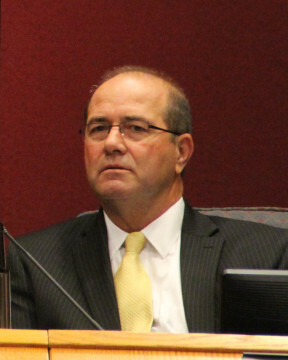 During the commission’s Feb. 9 meeting, Jeff Lowdermilk, director of facilities and fleet in the county’s Public Works Department, explained that the Hamilton Building is set up in suites, so several walls would have to be taken down. Some modifications also would be necessary in regard to utilities connections, he said, because of the current structure of the interior. The facility has about 10,000 square feet of space, he added, and it is primarily on one level. On Feb. 17, Harmer also reported that a schedule of workshops should be published soon so the public can participate in the planning of a new library in Venice. 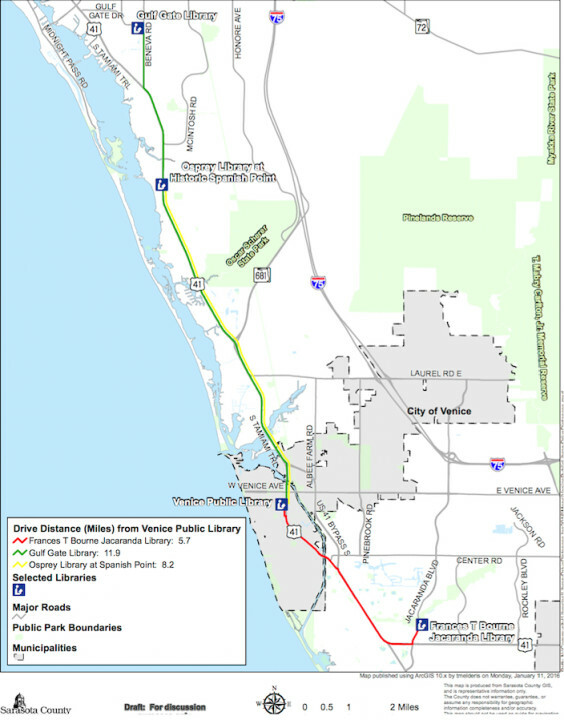 A Sarasota News Leader check of the county webpage devoted to the Venice library situation showed no information about dates on the afternoon of Feb. 17. While county efforts are under way to lease the Hamilton Building, a kiosk is open at the Venice Community Center to assist former patrons of the Venice Public Library. The kiosk is designed to allow people to order, drop off and pick up library items. The Community Center is located at 326 S. Nokomis Ave. in Venice.